A two-piece buckle, where the latch may be locked into the body, is commonly used in the spa or hot tub industry. The body of the buckle is mounted to a surface with a #4 screw, while the latch accommodates 1" webbing. 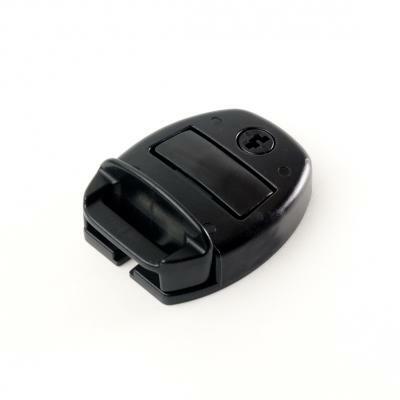 The Locking Center Release Buckle is actuated by compressing the center release button.